…Sitting at home the other night giving myself a pat on the back for finally getting down to my target of 6 watches (not bad, considering I’d been on 17 just a few months ago). Anyway, I got to thinking about the ones I missed – not that high a proportion, considering I’ve flipped so many – and one of those that sprung to mind was my old Speedy “Grail”. Now, I missed it partly for the lovely watch that it was but also because inside was the veritable Lemania 5100 movement, which in itself is more than a little interesting. It was the successor to the 1340/1341, which had been in production since 1972 or thereabouts, and was developed in order to provide a cost-effective alternative to the cheap quartz movements that were flooding the market at the time. The 5100 wasn’t innovative in any way (in fact, it’s considered somewhat antiquated) and it was actually made with one or two nylon parts – for example, the clutch wheel – as well as iron bearings in place of certain jewels that would otherwise have been used. 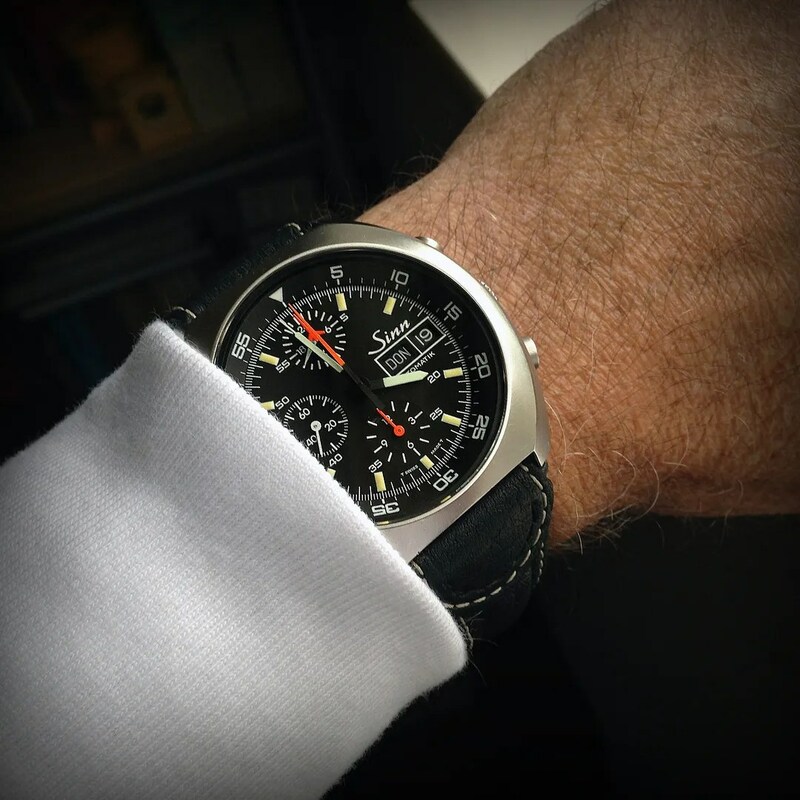 It was quite simply a rugged workhorse of a movement, but whilst it gained respect for that, the main reason that it has become so lauded over the years is because it offers a different and rather brilliant take on the chronograph functionality. 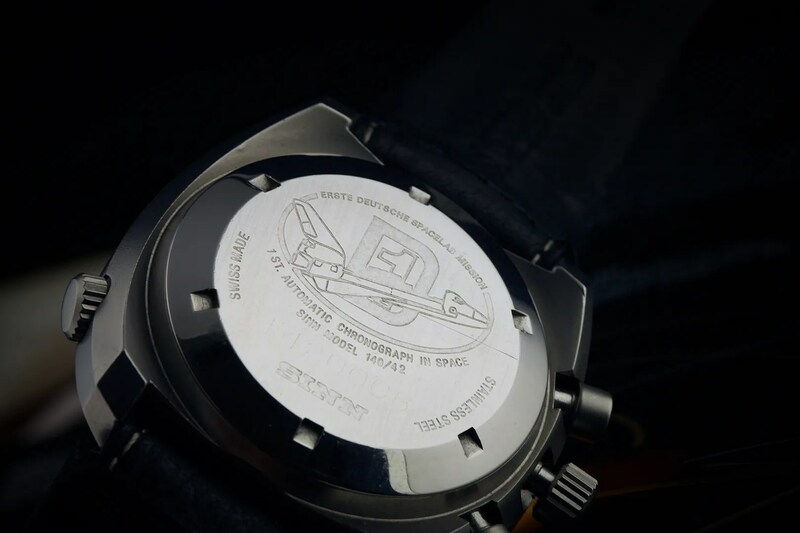 Underneath the main chronograph hand is another (aeroplane-tipped) hand that actually traverses the dial counting off elapsed minutes; this is much easier to read than a sub-dial, and it means that there is only one chronograph-related sub-dial, that being the elapsed hours (at 6). At 9 is the sub-seconds and at 12 is a 24-hour register. Very different, very useful and very readable. So, back to the other night, then, and I started off thinking about the Speedy and its movement. That got me thinking about the Ed White in my collection at the moment, with it’s rich history and heritage in terms of the space programme. 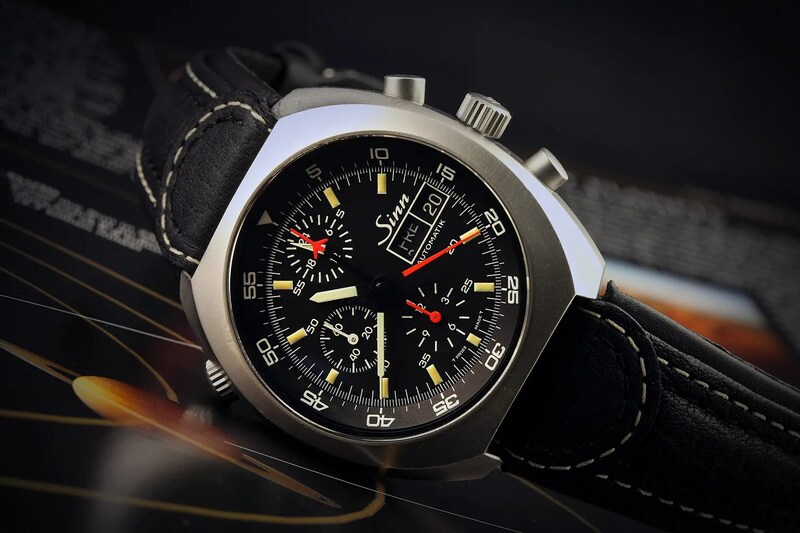 And that’s when I had an epiphany, because I was bloody sure I recalled that there was also a Sinn that was used during the early years of the space programme, and which also used the L5100 movement. 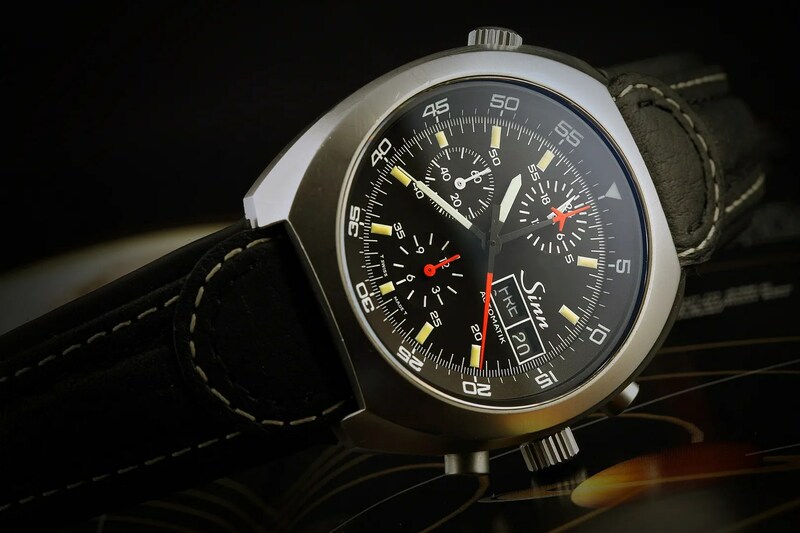 A few minutes of research, and I had identified the watch concerned – the Sinn 142. Anyway, the Sinn 142 was worn – as the second automatic chronograph in space – by Reinhard Furrer aboard the Space Shuttle Challenger in 1985. 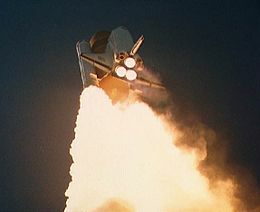 Mission STS 61-a (also known as D1… remember that) was the 22[SUP]nd[/SUP] space shuttle mission, and was the last successful mission of the Challenger, which was destroyed during mission STS-51-L in 1986. STS-61-A currently holds the record for the largest crew, eight people, aboard any single spacecraft for the entire period from launch to landing. So, those were the sparks in terms of both the movement and the watch that prompted me to post a “Want To Buy” ad the other day for a L5100-powered Sinn 142. No sooner had I posted it, than I had a message from a friend of mine saying that he’d actually just listed one for sale. Within minutes a deal had been done and a couple of days ago the watch landed on the doormat (well, I opened the door to the postman and carefully relieved him of the package). There are a few interesting things about this watch too.